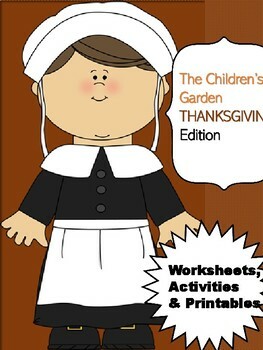 Because this is a cut and paste worksheet, not only will your little one enjoy a nice break from the usual common core curriculum activities, but they'll also learn in a fun yet educational way. 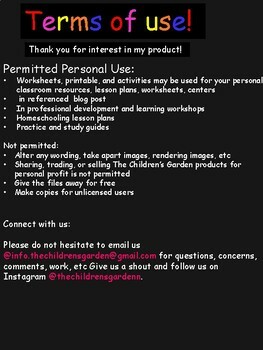 For students that enjoy less of physical writing, this is the perfect activity for them. 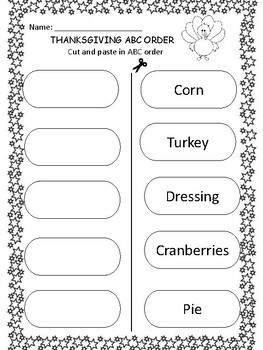 cut off the right column of Thanksgiving-themed words. He or she will then glue them in the correct alphabetical order in the left column. To make it even more instructional, ask your student(s) to say the words aloud as he or she cut them out. This will help your student identify words they aren't yet familiar with.